@HoneyCyou've got a point there... I mean he always says he willnot reveal his relationships unless its is already surefire marriage, then he keeps denying the dating scandal as well as stating he dated a year ago... hmmnn mighty suspicious... It is like he is leaving crumbles of clues here and there...!But I really do think they had a break, more so they can focus on their own respective dramas, but now that it is done I think they are back on... I hope they are back on!! !I hope they are the couple that gets outed by DISPATCH on 2015 new year...! 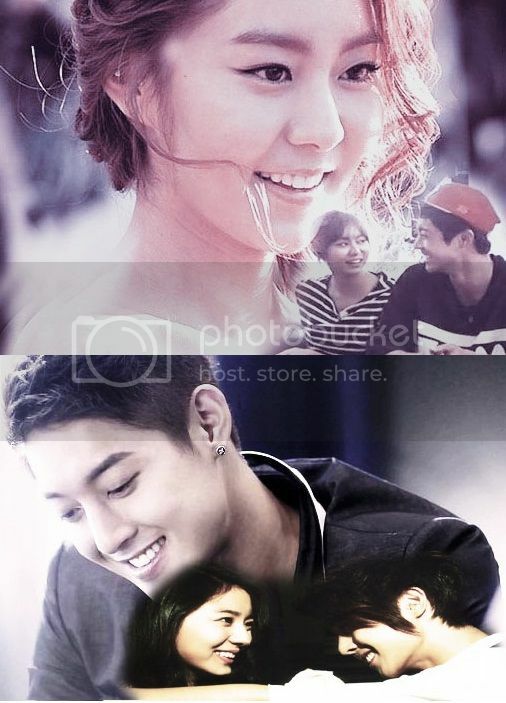 KHJ took UEE's pics as appearance fee at UV's concerthttp://youtu.be/kDiS1BF7iHwcredit Jun beyourselfI really feel like HyunJoong is quite smitten with UEE.I know he usually is the gruff type of guy, according to him but with UEE he genuinely cares for her in the most romantic and leading man sort of way,.First, he usually bullies her in BFF like stating he is glad SHE is present since he won't be the most stupid anymore, the classic underhanded bullying and calling names and THAT is classic male lead syndrome.Second, he secretly takes picture of her, you know without her knowing, like in this video.Third, he supports her gently and encouragingly, though that one is classic 2nd male syndrome, lets just let that pass since he may be downplaying it with the cameras ON!Fourth, he denies their relationship to protect her, that has been done by Dokko Jin before (and he did want to play https://www.youtube.com/watch?v=oZ5CZAAw64s, @ 0:30)Fifth, they meet years ago and had The Moment but it was not the right time so they let it pass, then they meet again, like FATE! classic Kdrama plot! Their story is really like a kdrama story!And I am so happy for them!!! "If the scenario is good, I want to challenge it no matter how small the role is. Uee had an interview with Daily Sports on the drama and her career with After School. Q: DO YOU WANT TO ACT IN MOVIES?